We don’t recommend do-it-yourself carpet cleaning. But not everyone listens. There are some homeowners in Fort Wayne that will attempt to deep clean carpet on remove stains on their own, sometimes with disastrous consequences. One reason these DIY attempts go bad is that homeowners do not pretest carpet cleaning solutions before using them on their carpet. You should pretest all solutions and cleaning agents prior to using them. This includes homemade cleaners from vinegar or carpet cleaning chemicals purchased at the store. Various carpet fibers and materials react differently to solutions and if you don’t pretest you won’t know until it is too late. After all, most carpet stains are located in high-traffic areas or in open areas of a room where you and your family spend most of your time. If you try to clean a stain and the solution makes it worse, there will be no hiding it unless you redecorate your entire home to hide stains. Find a discrete area of the room, perhaps in a closet if possible or in a corner? Spray or dab the cleaning solution onto a small spot of the carpet and see if there are any unexpected reactions. Be patient. You might not notice anything immediately. However, over time, the solution could cause discoloration or create its own stain. If possible, if you have new carpet installed, keep some of the remnants and use the remnants for tests. You can just store the remnants in your basement or garage when you don’t need them but there is a good chance they will come in handy. 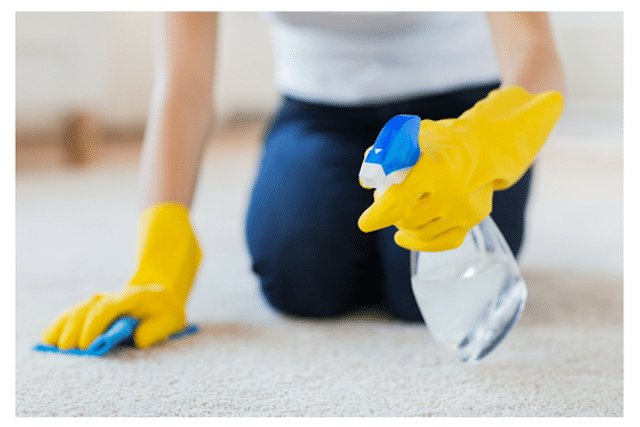 If the test goes well and there are no negative side effects from using the carpet cleaning solution, then you can proceed to use it on the stain itself. However, start slow since the stain might also react unexpectedly. DIY stain removal isn’t easy. A lot can go wrong. 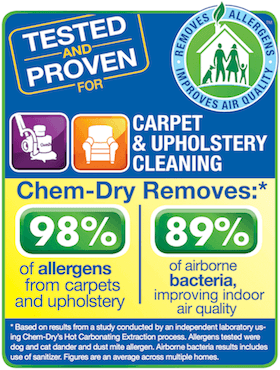 It is better to just trust the professionals at Chem-Dry of Fort Wayne in Allen County, IN. You will likely regret it if you do not pretest carpet cleaning solutions before attempting stain removal. You will not regret scheduling an appointment with Chem-Dry of Fort Wayne. Learn more about our services here. Chem-Dry of Fort Wayne Copyright © 2019.